We might think that the hope of Lent has to do with our hope that we will get through it, that we will come to the end of it. We see Lent as an obstacle course we need to navigate in order to get to the great feast of Easter. But while the Lenten season is indeed preparation for our Easter celebration, the hope of this season is that we will ﬁnd our lives transformed by the many ways we encounter God’s Word, by the richness of the Scripture readings chosen to encourage, to challenge, to confront, to comfort. Focusing only on the end goal would cause us to miss so much along the way. The greatest hope of Lent is the discovery that it’s not only about penance, deprivation, spiritual struggles, and rooting out sin in our lives. Those are often the things we do during Lent. But the hope of Lent lies in what God does. From the beginning of his pontiﬁcate, Pope Francis has made mercy his hallmark. It’s no surprise that he declared a special year dedicated to the contemplation of mercy. Pope Francis wants us to realize that God’s mercy and grace surround us not just in special times and places but always and everywhere. 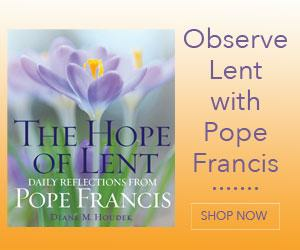 Lent is a time to discover the extraordinary in the ordinary, to be surprised by God’s mercy when we least expect it. As the season begins, think about the hopes you have for Lent this year. Think about what changes you want to see in your life, in the world. 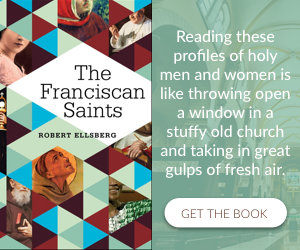 Let the words of Pope Francis guide you on a journey of bringing those hopes to fulﬁllment. With its invitations to conversion, Lent comes providentially to awaken us, to rouse us from torpor, from the risk of moving forward by inertia. The exhortation which the Lord addresses to us through the prophet Joel is strong and clear: “Return to me with all your heart” (Joel 2:12). Why must we return to God? Because something is not right in us, not right in society, in the Church and we need to change, to give it a new direction. And this is called needing to convert! Once again Lent comes to make its prophetic appeal, to remind us that it is possible to create something new within ourselves and around us, simply because God is faithful, always faithful, for he cannot deny himself, he continues to be rich in goodness and mercy, and he is always ready to forgive and start afresh. People often remark on the way our churches are ﬁlled on Ash Wednesday. It’s not a holy day of obligation. No one is required to attend Mass or receive blessed ashes. But there’s something about the beginning of this season of Lent that draws us in, calls us to return to sanity, to a bit of austerity, to a change of heart and mind. It’s a second chance at our new year’s resolutions, long since broken and forgotten. It’s a second chance at making changes in our lives. For some people, it’s no less than a second chance at life. That something that draws us is God’s grace. And it’s drawing us back to God’s merciful embrace. There’s something attractive about Lent beginning in the middle of an ordinary week, catching us in the midst of our daily occupations and asking us to take time out to ﬁnd God there. Lent doesn’t take us away from our ordinary lives, but rather it invites us to bring a new and holy attention to those activities. This should be the way with all of our spiritual practices. We take time apart in order to return to our daily activities with new inspiration. God will always surprise us with possibilities when we least expect them. Let this Lent be one of those surprises. The prophet Joel calls for a public ritual of repentance. Jesus reminds his followers that our deepest need is between ourselves and the Father. Both are necessary. Which do you need this Lent? How might your Lenten observances contain a healthy balance of public and private prayer? 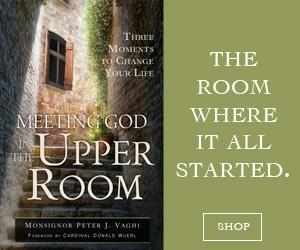 Choose something this Lent that will enhance your day-to-day interactions with the people in your life. In the face of so many wounds that hurt us and could harden our hearts, we are called to dive into the sea of prayer, which is the sea of God’s boundless love, to taste his tenderness. Diane M. Houdek is the director of content at Franciscan Media.